Naturalised in New Zealand, North and South America, Asia, South Africa, Italy and the Azores (Weeds Australia - Weed Identification). Widely naturalised in southern and eastern Australia. It is most widespread and common in southern Queensland, New South Wales, Victoria, Tasmania, south-eastern South Australia and in the coastal districts of south-western and western Western Australia. Also present in northern Queensland, and in other parts of South Australia and Western Australia. It was also naturalised in the ACT, but has not been collected there for more than 30 years. Naturalised overseas in some parts of the USA (i.e. California, Colorado, Texas, Georgia and Michigan) and in Hawaii (Weeds of Australia Biosecurity Queensland Edition). Naturalised in New Zealand, North and South America, Asia, South Africa, Italy and the Azores (Weeds Australia - Weed Identification). Widely naturalised in southern and eastern Australia. It is most widespread and common in southern Queensland, New South Wales, Victoria, Tasmania, south-eastern South Australia and in the coastal districts of south-western and western Western Australia. Also present in northern Queensland, and in other parts of South Australia and Western Australia. It was also naturalised in the ACT, but has not been collected there for more than 30 years. Naturalised overseas in some parts of the USA (i.e. California, Colorado, Texas, Georgia and Michigan) and in Hawaii (Weeds of Australia Biosecurity Queensland Edition). Many of these climates overlap substantially with California's climate zones (Cal-IPC global map of climate areas matching California). Feathertop is regarded as an environmental weed in Victoria, New South Wales, Tasmania and South Australia (Weeds of Australia Biosecurity Queensland Edition). 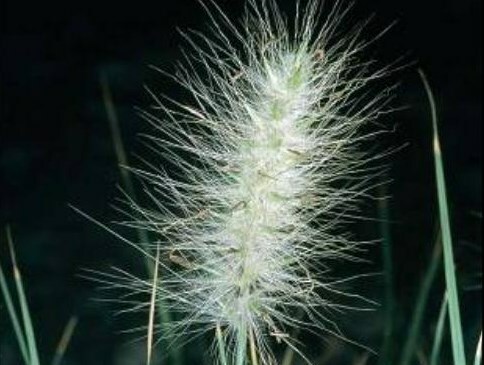 Feathertop is regarded as an environmental weed in Victoria, New South Wales, Tasmania and South Australia (Weeds of Australia Biosecurity Queensland Edition). Many of these climates overlap substantially with California's climate zones (Cal-IPC global map of climate areas matching California). P. setaceum is invasive in California and is present in CA, OR, AZ, NM, and CO (Cal-IPC; Weed control in natural areas in the Western United States). P. clandestinum, P. macrourum, P. pedicellatum, P. polystachion, P. polystachyon are listed as noxious weeds in California (USDA-NRCS PLANTS). P. ciliare is also invasive in AZ and is present in California, P. setaceum is invasive and widespread in CA, and P. clandestinum is widespread and invasive in CA (Invasive Species List and Scorecards for California). Many of these climates overlap substantially with California's climate zones (Cal-IPC global map of climate areas matching California). DiTomaso, J. M., & Healy E. A. (2013). Weed control in natural areas in the Western United States. 544. Found throughout Mediterranean region, present in California, and worldwide (GBIF). Many of these climates overlap substantially with California's climate zones (Cal-IPC global map of climate areas matching California). A weed of remnant grassy native vegetation in farming areas, where it can suppress native groundcover species (Eurobodalla Shire Council Weeds). May crowd out native vegetation if planted near open country and directly competes with natural vegetation (SAN DIEGO COUNTY INVASIVE ORNAMENTAL PLANT GUIDE). Eurobodalla Shire Council (0). Eurobodalla Shire Council Weeds. San Diego ASLA, California Native Plant Society (2014). SAN DIEGO COUNTY INVASIVE ORNAMENTAL PLANT GUIDE. Recover quickly after fire and may increase in density after a burn (PIER WRA). Adapted to fire (CDFA). Fire-promoting grass that recovers quickly after fire (PlantPono). However, a weed risk assessment also notes that while it may promote fire, it would not likely do so anymore than any other grass it replaces, and as such does not represent a change to fire regimes or promotion of fire (Victorian Invasive Plants). Mature plants are unpalatable to stock, so the plant can become more common in over-grazed pasture (Eurobodalla Shire Council Weeds), thereby impacting grazing systems by potentially reducing carrying capacity. Produces large dense clumps, which over time tend to dominate infested pastures and reduce the available grazing area. Chokes out useful grasses and ‘being unpalatable reduces carrying capacity’. Because not specified, a moderate level of impact is assumed (Victorian Invasive Plants). A tufted grass, usually around 30-50cm high with very distinctive white fluffy seed heads (Eurobodalla Shire Council Weeds). Tufted rhizomatous perennial grass to 90 cm high (Weeds Australia - Weed Identification). Mat-forming, in dense large tussocks; dense clumps can be formed that tend to dominate infested pasture (PIER WRA). Individual clumps gradually expand by underground rhizomes (Eurobodalla Shire Council Weeds). Spread by rhizomes and seed (Weeds Australia - Weed Identification). Root segments easily spread by grading and can produce new plants (PIER WRA). Rhizome fragments can generate new plants (CDFA). Spread by rhizomes and seed (Weeds Australia - Weed Identification). Feathertop ornamental grass is a ready self-seeder, so grow it in an area where it can spread, or you will need to cut off the flowers before the seeds ripen in the fall (Outside Pride). Outsidepride.com Inc. (2015). Outside Pride.com Seed Sales. Feathertop ornamental grass produces nodding silver panicles in great profusion from late summer through early fall. The flowers look like clouds that are floating about, catching the breeze and waving about (Outside Pride). A heavy self-seeder (SAN DIEGO COUNTY INVASIVE ORNAMENTAL PLANT GUIDE). An exhaustive Google/Google Scholar search did not reveal any quantitative information about seed production, and this defaults to a "no" answer. Although a prolific seeder, seedling establishment is usually poor, with plants growing best in sandy soils (PIER WRA). An exhaustive Google/Google Scholar search did not reveal any additional information about germination, but this seems unlikely given poor seedling establishment, and defaults to a "no" answer. The seed is spread along roads in mud on machinery and vehicles, and can adhere to animals and clothing (Eurobodalla Shire Council Weeds). Spread by water, wind, animals (external), machinery, contaminated soil or dumped garden waste. Is a contaminant in wool. Some seed held within involucral bristles can adhere to wool and fur. [produce contaminant of wool products] (PIER WRA). Wind and water may also spread seed (Eurobodalla Shire Council Weeds). Feathertop ornamental grass produces nodding silver panicles in great profusion from late summer through early fall. The flowers look like clouds that are floating about, catching the breeze and waving about (Outside Pride). In Australia, the main infestations in the North West Weeds County Council area are located in the Delungra and Inverell areas. Lesser infestations occur in the towns of Barraba, Bingara. Infestations are also present in the Horton and McIntyre Rivers. More and more plants are showing up throughout the NWWCC district, obviously being transported by wind, stock and motor vehicles. Spread by water, wind, animals (external), machinery, contaminated soil or dumped garden waste (PIER WRA). Seeds spread far by the wind (PlantPono). The seed is spread along roads in mud on machinery and vehicles. The seed heads may be picked for dried flower arrangements, then discarded. The plant is sometimes sold as a garden ornamental (Eurobodalla Shire Council Weeds). In Australia, the main infestations in the North West Weeds County Council area are located in the Delungra and Inverell areas. Lesser infestations occur in the towns of Barraba, Bingara. Infestations are also present in the Horton and McIntyre Rivers. More and more plants are showing up throughout the NWWCC district, obviously being transported by wind, stock and motor vehicles. Spread by water, wind, animals (external), machinery, contaminated soil or dumped garden waste (PIER WRA).